Although most of us desire large rooms, there are various settings in which a division in space is required. For instance, a large office where there are multiple employees, often some type of divider is used to separate the workers in order to provide them with their own workspace, as well as to decrease other environmental distractions such as noise from telephones ringing, etc. The home is also another area where privacy is sought, such when a separate room may not be available for a home office. There are many ways to divide open space, economically, with a decorative touch. Room partitions or dividers come in an array of designs and materials, which can be used indoors, as well as outdoors. Local retailers such as Lowe’s or Home Depot carry room dividers that are constructed from wood, silkscreen, and metal to name a few. One great idea found at Home Depot is the Jeffan Timika 65 inch Partition Lamp encased in fiberglass that is airbrushed in black, sitting on a wooden base. As a movable divider, with a contemporary look. Using three 3 40-60 watt light bulbs, this divider lamp will provide ample lighting. Glass or crystal beaded partitions will work well with a dimly lit area since light reflects well off of them. This particular model sells for $328.95. Model LM-1524A-BL. One decorative touch, is that of beaded partitions, much unlike those from the 60’s and 70’s. Beaded partitions can be found easily online. Another modern look which is used in nightclubs, spas, casinos, and restaurants, can be found online at Shimmer Screen. Not only are they absolutely beautiful, but would add a unique look in the home as well. They hang like curtains from one of the various tracking systems that are available. Shimmer screen will assist you in creating your design with the correct tracking and beading, using your design drawing. Wood or glass beaded partitions can serve as a curtain or replace that unsightly door. The various colors and designs will suit the decor and taste of anyone. 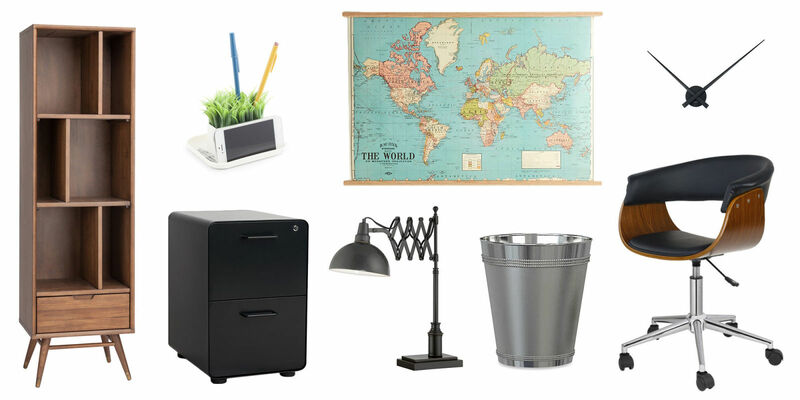 Shop Wild Things has a huge assortment that is suitable for any location in the home office with prices beginning around $20.00. For those who prefer going green such as with bamboo, can find great ideas with a combination of bamboo and strands for beads forming a beautiful flower, tropical, and contemporary designs, among many others that are hand-painted. Finished beaded partitions using acrylic beads are the most economical, but they are not much more expensive than hand painted beaded curtains. The beaded partitions are purchased in panels, which are the size of a standard door 36″ x 79″.